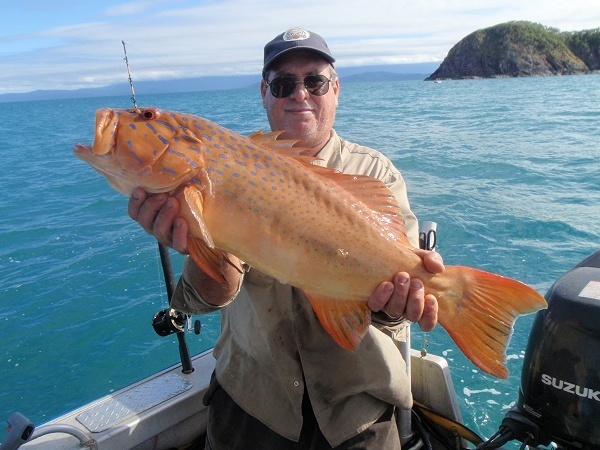 Fishing the islands, headlands, harbour entrance leads, sand & mud flats, estuary channels and the numerous submerged wrecks, structures and reefs offer spectacular light tackle sport fishing. 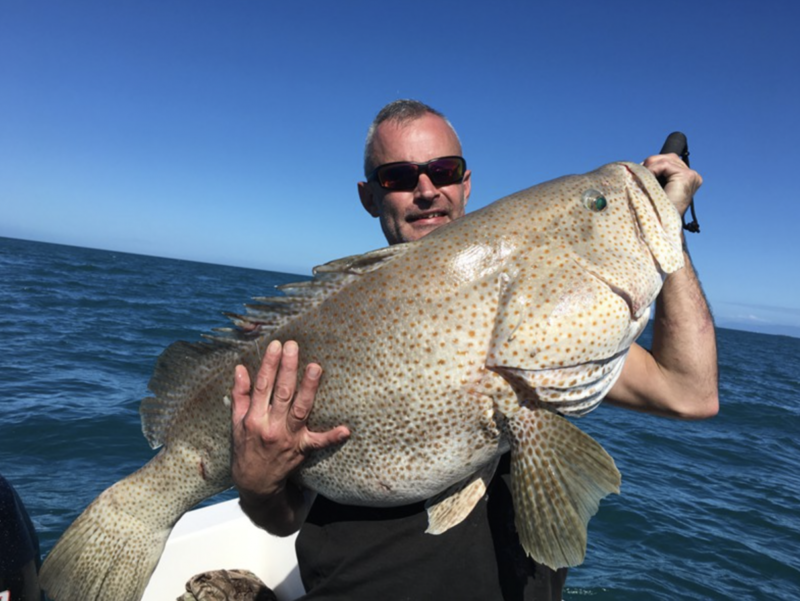 Seasonal conditions play a part with these exclusive charters and targets include the famous salt water Barramundi from the rocks, Mackerel and Trevally from the leads and wrecks as well as prime GT’s, Fingermark, Black Jew, Salmon and Queenfish. 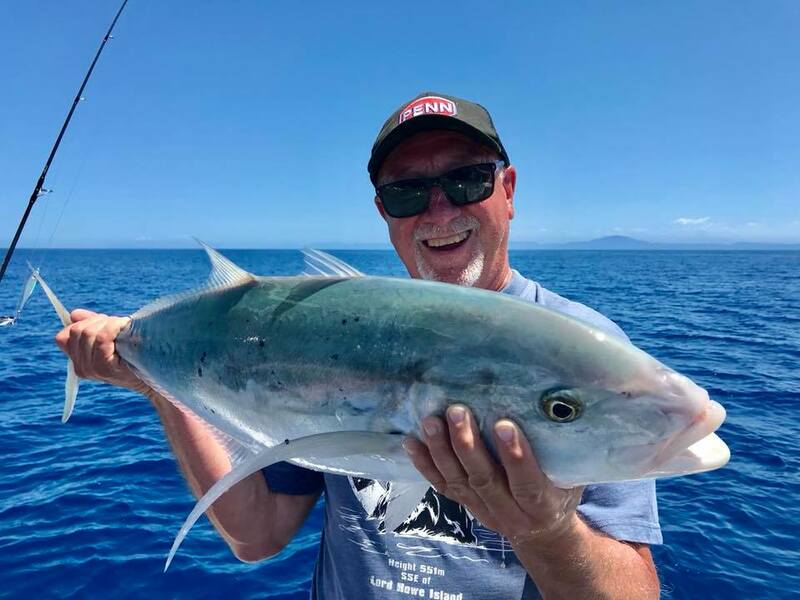 Fishing Cairns with GBR Sport Fishing will put you frontline in the hunt for Red Emperor, Coral Trout, Giant Trevally, Nannygai, Mackerel, Wahoo, Tuna, Black Marlin, Dolphin fish and much more! Join your captain Tim Sparks on board for a great day on the water! The fishing North of Port Douglas on Queensland’s Great Barrier Reef is like nowhere else on the planet. Whether your passion is popping, jigging, trolling, fly or reef fishing,Black Magic has it covered. Expect Giant and Juvenile Black Marlin action, Sailfish, Tuna, Giant Trevally, Spanish Mackerel, Red Emperor and many other trophy species. Day Trip from $2,600 Max 6 pax.Extended Charters P.O.A. Max 4 pax. FNSF only use top-of-the-range equipment from custom built rods to the very best in Shimano and Penn reels. Choose between a bespoke day charter or an extended voyage out on the Reef for two or three nights. 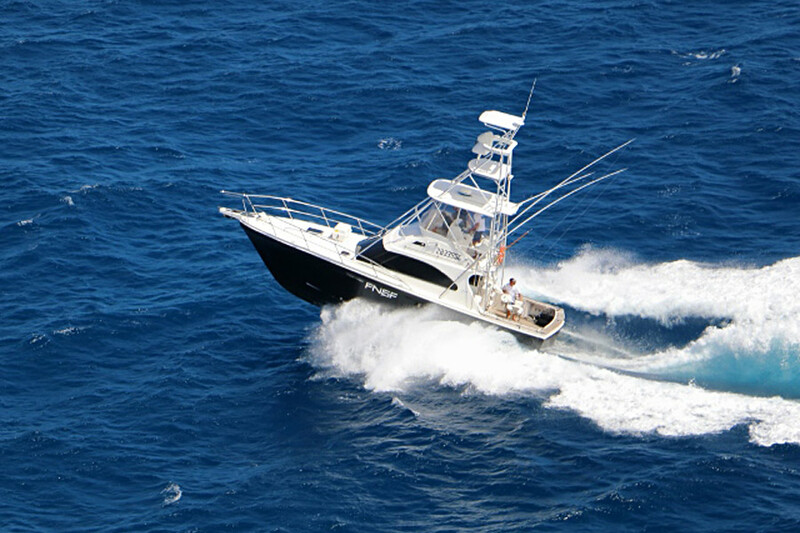 Black Magic can also be combined with FNSF’s own luxury 70 foot mothershipBlue Martini for tournament fishing or your own bespoke adventure. With its own private chef, on-board hostess and the accompanying professionally guided 20’ centre consoles, the Blue Martini mothership package makes for an unforgettable on the water experience. 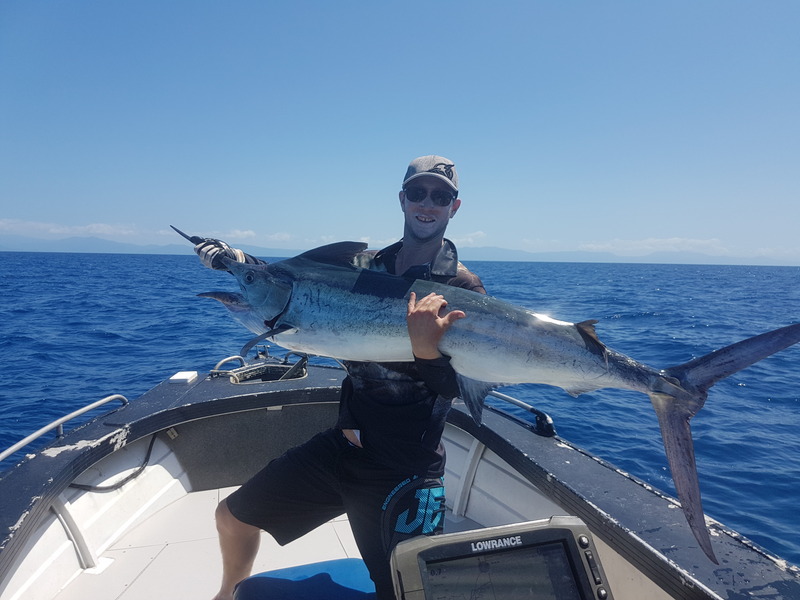 Black Label Sports Fishing off Cairns produces consistent numbers of juvenile Black Marlin along with other light tackle sport fish, including Spanish Mackerel, Sailfish, and Tuna species. The billfish and different pelagic’s come to feed on the inner bait grounds inside the Barrier Reef on their annual migration to the south later in the year. Day Charter P.O.A. Max 6 pax. Extended Charters P.O.A. Max 4 pax. Light tackle game fish for Black Marlin and other pelagic species can be enjoyed by the whole family and all age groups who wish to enjoy the thrill of catching their first Black Marlin. These charters are enjoyed by both novice anglers to the more experienced anglers. 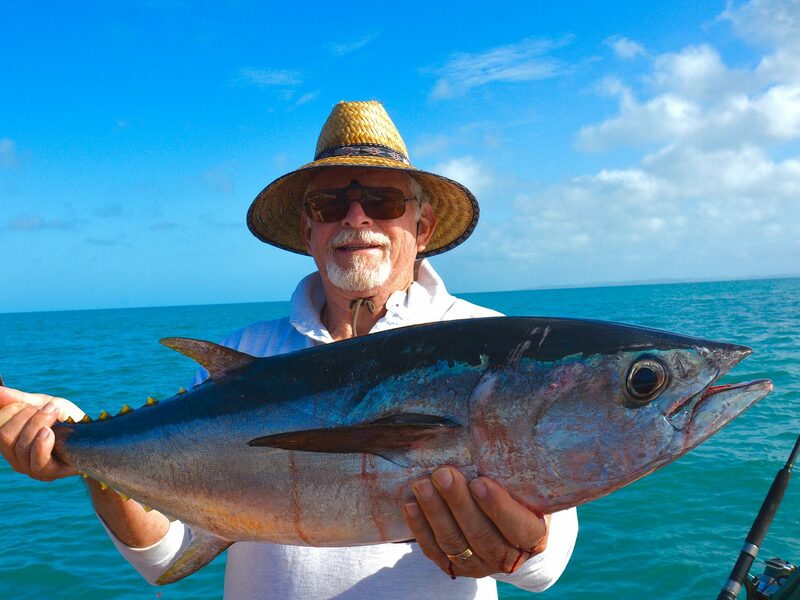 Our light tackle fishing charters are tailored to suit your needs, be it a day trip or an extended live aboard fishing experience on the inside of the Great Barrier Reef. Black Label Charters also can be booked for the Cairns Blue Water Tournament (light tackle) held on Fitzroy Island, around mid August each year. We also do fly fishing for both marlin and sailfish during the peak season of June to mid September and then December to the end of March. Among the different techniques you will find yourself trying are, popper casting, spinning, jigging (wrecks and reef), soft plastic jigging and trolling. Quality spinning combos are supplied, loaded up with 30lb and 50lb braid, all loss of lures is covered in the cost, and believe us… you will lose a couple. The Great Barrier Reef off Port Douglas offers some of the best reef fishing anywhere in the world, whether you want to target GT on poppers, catch billfish, mackerel and tuna on light tackle, catch a feed of reef fish, or jig plastics and knife jigs over the wrecks; the options are endless. 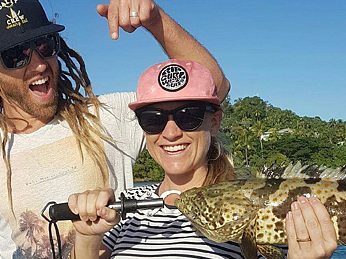 Sublime Sportfishing Adventures can customise your day to your choice of fishing style.Please note reef and wreck fishing is subject to weather conditions, with a back-up option being either Daintree or Port Douglas river options above. Quality tackle, lures / baitWater, soft drinks and light snacks.Insect repellent.Basic wet weather gear.BYO tackle optional. Operating out of Port Douglas we would love to have you join us for one of our awesome personalised private charters. Whether it’s the inshore reefs, a quick trip to the Low Isles or cruising the estuary systems – the Stabicraft 609 Frontier will get you there and offer a sense of security along the way. Full Day Charters and Night Fishing also available upon request. Live bait, top quality gear, refreshments, insect repellent and wet weather gear is supplied. 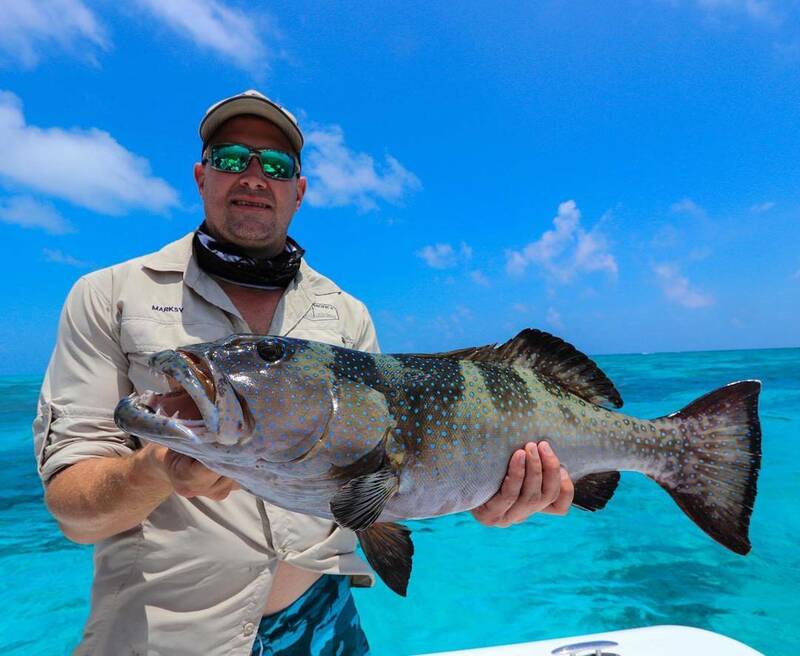 In need of some ‘REEL THERAPY’ Enjoy fishing on the fringing coastal reefs catching the famed Coral Trout, Nannygai and pelagic fish including Spanish Mackerel, Cobia, Queenfish, Trevally and Tuna. Or fish the Port Douglas estuary and pull in an elusive Barramundi, Mangrove Jack, Fingermark, Tarpon, Blue Salmon or Queenfish. Your guide will be there to offer all their expertise; with live bait fishing and their knowledge of the eco system that surrounds this amazing area. In addition to the great fishing, crocodile and bird spotting is a possibility too. Locally owned and operated, Out n About offers the opportunity to get out on the water and enjoy the regions beautiful surrounds while wetting a line. 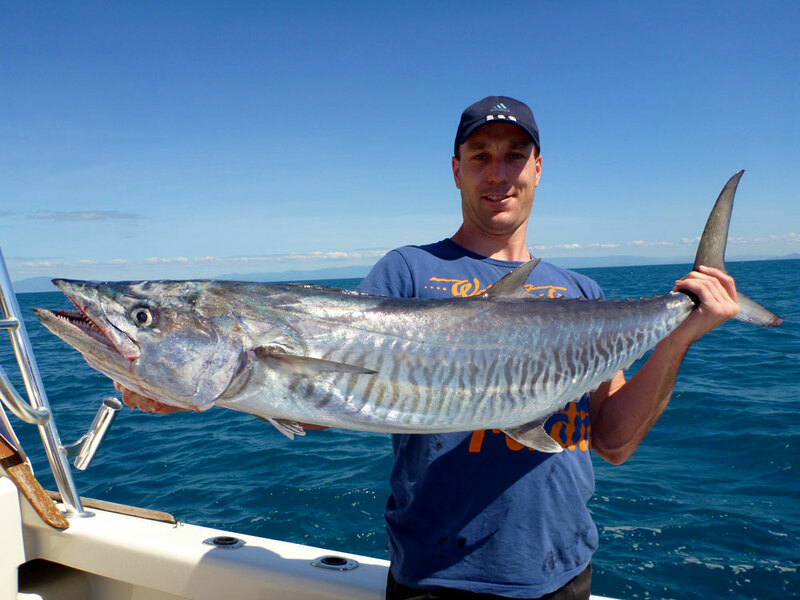 A great value tour and suitable for the novice or to the experienced angler, a must-do while visiting Port Douglas. 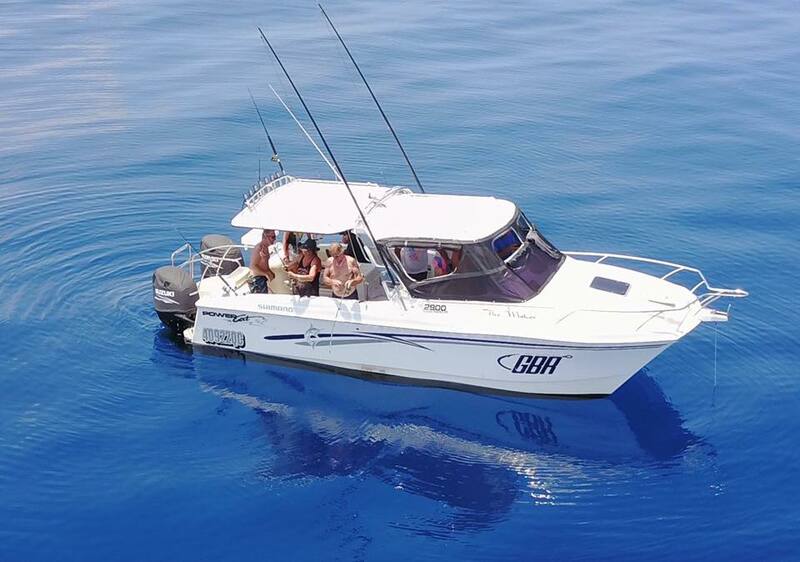 The Cairns trip departs each morning from Yorkey’s Knob Marina at 6.30am and will have you out on the reef faster than any other operator which means more time on the water fishing! After a full days fishing, a delicious packed lunch and even a swim off a stunning Sand Cay if you like, we would start to head back in at 4pm getting you back to the marina by 4:30pm after a great days fishing. Cairns OffshoreCharging out of our home base in Cairns – Yorkeys Knob Marina, experience the best the Great Barrier Reef has to offer. There are several locations we visit depending on the weather, time of year, and species you want to target. Expect good numbers of GT’s, dogtooth tuna, black marlin, red emperor, nannygai, trout, and many other incredible species that call the reef home. Cooktown Offshore / Ribbon ReefsFly into the historical city of Cooktown where a shuttle will be waiting for you to take you to your hotel. Once you arrive at your hotel you will be contacted by Nick that afternoon who will meet up with you that evening and give you a rundown of the weather and fishing plans for the week ahead. The next 5 days are full fishing days out on the reef. We aim to leave the wharf around 07h00 each morning after breakfast and are back around 16h30 in the afternoons. We take a packed lunch with us during the day, and an esky with soft drinks and water. If you would like beer added to this, we can make sure it is onboard before departure if it is pre-arranged.We will choose our fishing locations based on which area has been most productive over the last few days and whichever is inline with what species you want to catch and what style of fishing you wish to do. When we return in the afternoons you can retreat to the comfort of your accommodation and rest up for the following day of fishing. On the last day a shuttle will be waiting to collect you from your accommodation and take you to the airport in time for your flight. Hinchinbrook OffshoreLocated 2 hours south of Cairns, Hinchinbrook is one of the hidden gems of the far north. While the fruitful inshore waterways are home to Barra, Permit, Queenies, and a spectacular array of other inshore species. We will be heading to the offshore grounds, expect some seriously big fish. We make our way to the outer reef each morning in search of your target species – take your pick of giant trevally, tuna, trout, nannygai, red emperor or Spanish mackerel.In the evenings, return to the luxury and comfort of the Australian Flyfishing Outfitters Lodge. Overlooking the water, the AFO Lodge offers breathtaking views of the Hinchinbrook area and is only minutes from the launch site, so you can make the most of this stunning place both on and off the water. Custom fitted for maximum comfort and space. Powered by the very efficient 4-stroke Yamaha 115hp to get you to your fishing locations fast and safe. Full day charters depart 6:30am and return 3:30pm from Cairns. 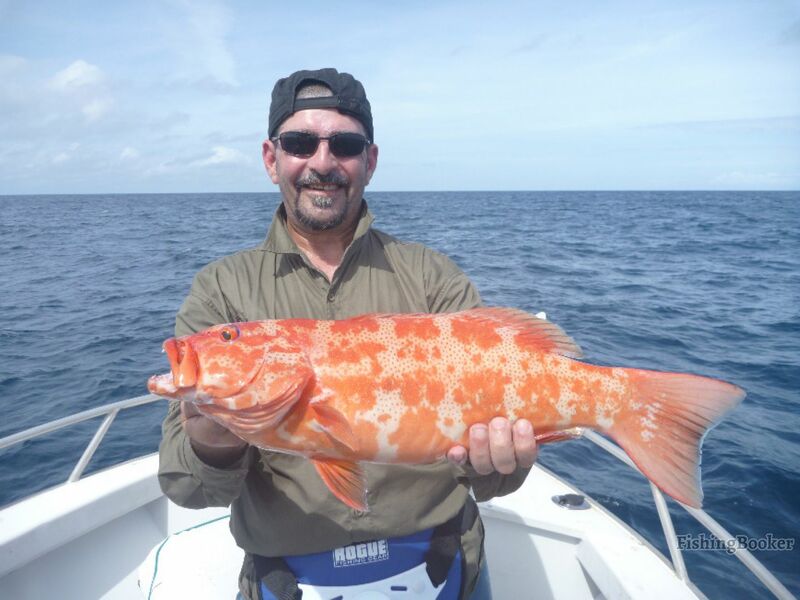 Our 4 day Cairns liveaboard fishing charters cater to fishing and spearing fanatics. We’ll load you up and take you offshore to some of the best locations, you’ll ever visit. 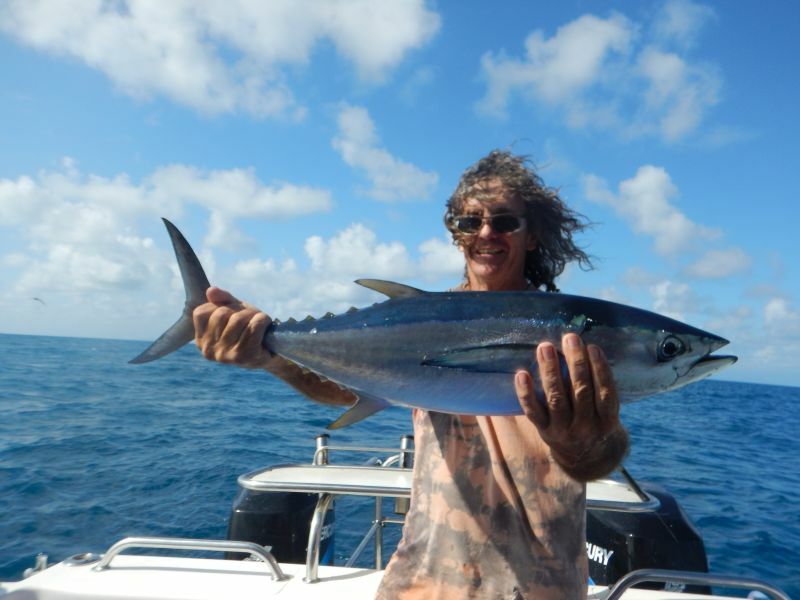 Reel Deep Charters provides the best Cairns liveaboard charters, aboard Norkat II. For friends, fishing, spearing and fun! The Norkat II is a purpose-built fish/spearing and tour vessel that was launched in July 2002. After running out of Mackay for a while, she’s recently changed hands and locations, and is now based in Cairns, Tropical North Queensland at Half Moon Bay Marina. Norkat II is a fibreglass 72ft Westcoaster, fitted out specifically to cater to the comfort and needs of liveaboard fishing / spearing passengers. Offshore we are licensed to carry 12 passengers and four crew for extended, multi-day fishing and spearing charters. 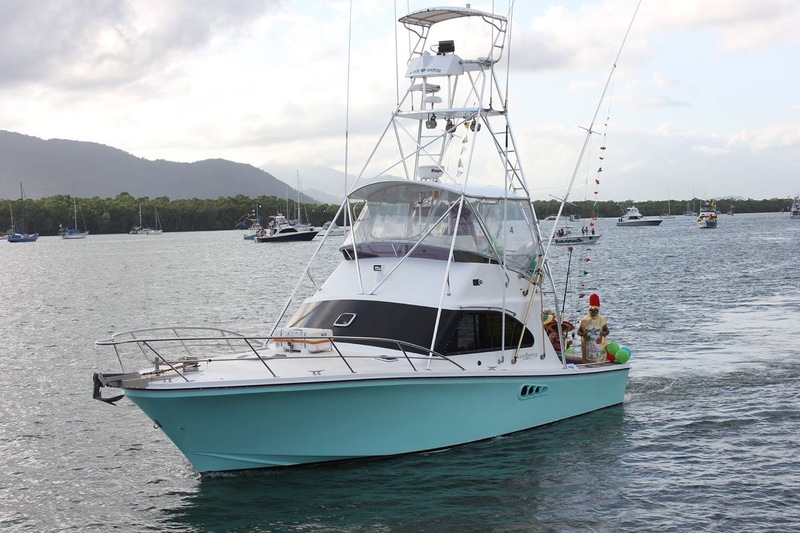 Norkat II is Cairns’ newest fishing charter boat and has two desalinisation plants, providing the comfort of a continuous freshwater supply, even during the extended periods at sea. The boat is powered by twin 750hp Iveco V8 engines and has two 25kva generators. It’s supported by two 6 metre centre console dories, with 150hp Honda four strokes. These are equipped with plotters, sounders and radios for your convenience and safety. Norkat II has a range of approximately 200 nautical miles at 10 knots, allowing us to travel long distances without refuelling. The saloon is well appointed with TV/DVD, sound system and ice machine. The galley has all the cooking facilities required, for your crew to create delicious meals and snacks. We’ve also got a large freezer and plenty of fridge space for all those fish. Norkat II has a purpose built extra, large deck allowing for outdoors entertaining and relaxing. There is the added convenience of two showers and toilets, which are easily accessible. State of the art navigation equipment and communications gives Norkat II instant and ongoing information for safe passage. 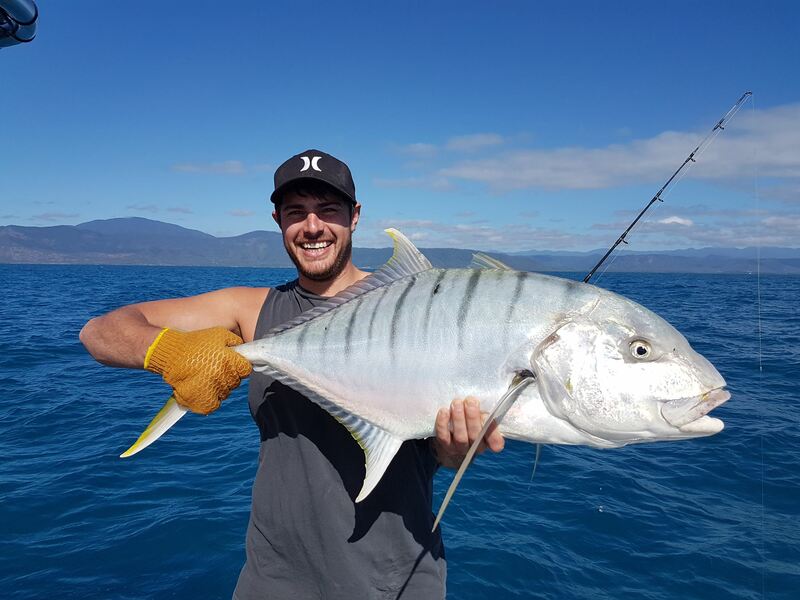 Reel Deep Charters provides extended charters to the Great Barrier Reef and Coral Sea. Aboard Moana III, experience Great Barrier Reef Fishing, deep sea fishing and exhilarating light tackle sports fishing, with the thrill of catching the stunning juvenile Black Marlin, Sailfish, Spanish Mackerel, Giant Trevally, Yellow and Blue Fin Tuna, Dog Tooth Tuna, Wahoo, Cobia, Mahi Mahi and many other varieties. Moana III also cater for Reef and Game FishingDay Trips – 12 pax, Overnight Trips – 6 pax, Extended Charters – 4 pax, P.O.A. These fish all roam the waters on edge of the magnificent Great Barrier Reef, just an hour out from the Cairns Marlin Marina. The Great Barrier Reef is the largest fish attracting device on the globe with a variety of excellent fighting fish to catch. Reef Fishing for Coral Trout, Nannygai, Red Emperor, Job-fish and many others are also a perfect way to enjoy a memorable fresh fish meal. The Juvenile Black Marlin, roam areas less than one hour from Cairns. These fish range in size from 20lbs to 120lbs and are prime fun light tackle sportsfishing. 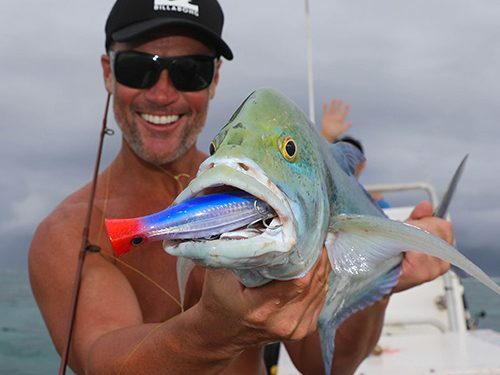 The cobalt waters off Cairns are world renowned for its action and variety of pelagic sports fish and our trips visit different parts of the reef depending on where the fish are biting! These marine giants congregate along the seaward edge of the Great Barrier Reef, and along the 150 NM edge of the continental shelf and from Lizard Island and the Ribbon Reefs to the north, to south of Cairns. This is what makes our region so desirable with the reliability of their return each season. 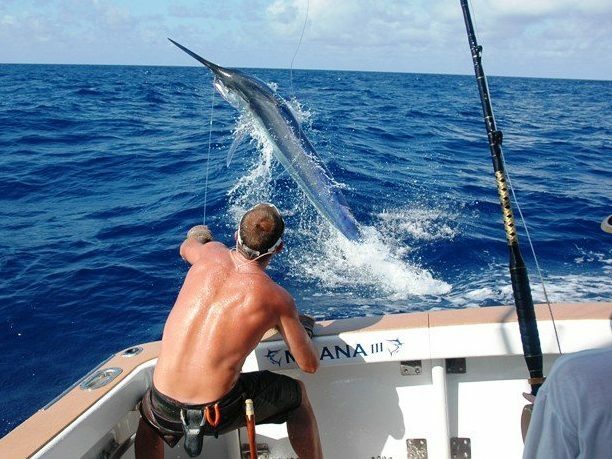 Many years of tag and release fishing and use of circle hooks by the Cairns Professional Game Fishing Association has ensured this area remains the most sustainable fishery for the Giant Black Marlin in the world. 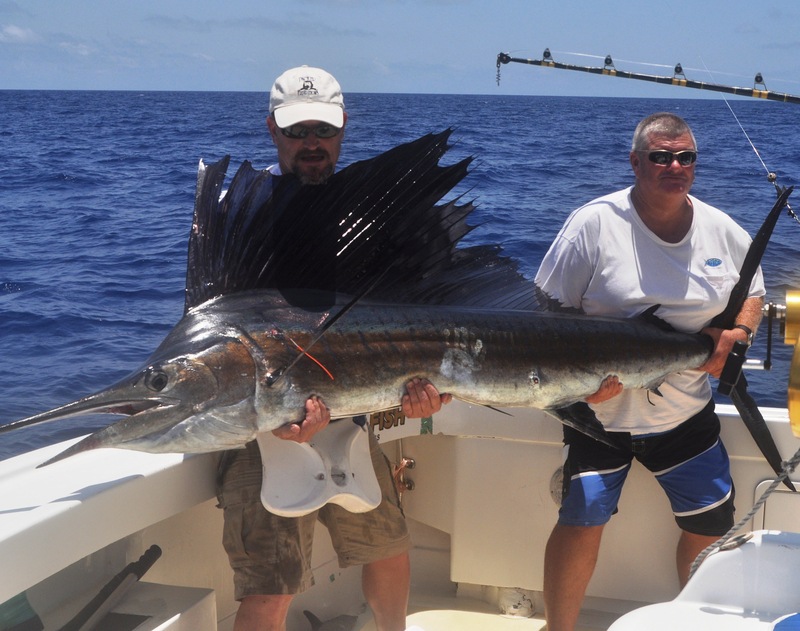 There are many huge Marlin caught and released every season. Last year over half the fish we caught were over 900lbs!!!!! Available all year round, the change of seasons brings different species to target. The run of juvenile Black Marlin are from July to October and are an exciting catch on 10kg line. There are a number of Mackerel species to catch and can be caught most of the year. 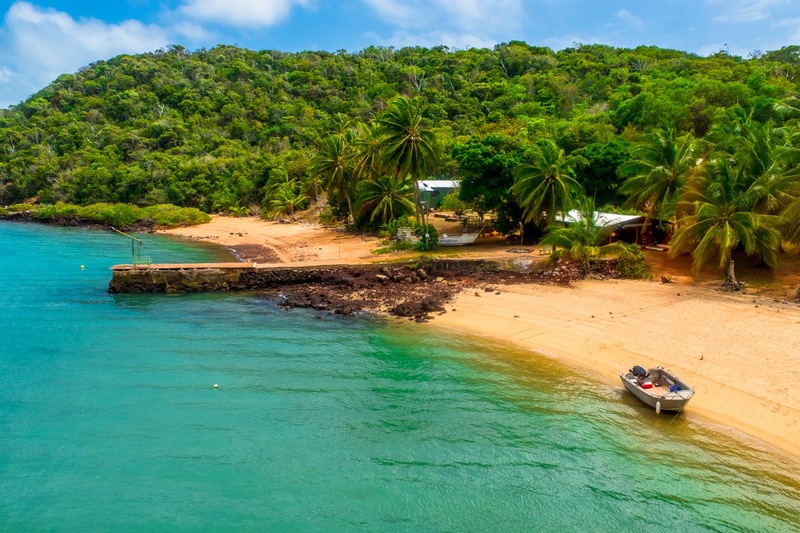 What makes Cape York the perfect fishing holiday destination is it’s diversity. You could be in the estuaries chasing the elusive Barramundi Just to find yourself minutes later pulling a Spanish Mackerel in the Blue waters! 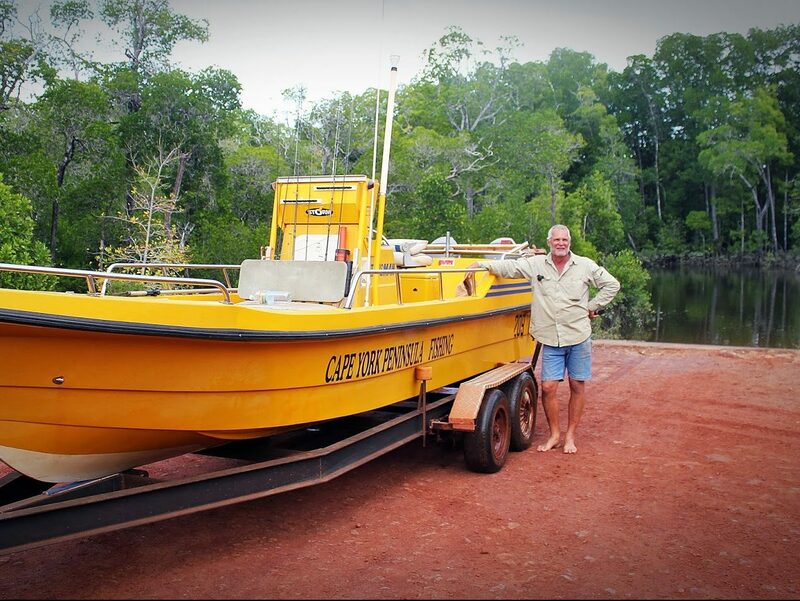 Visit the local inshore reef and wrecks of the Daintree coast. Use a mixture of live baiting, lure, fly and trolling in search of Spanish Mackerel, Tuna, Coral Trout, Nannygai and reef sharks. Maximum 6 people and dependent on weather conditions. TASTE ADVENTURE: DAY FISHING CHARTERESCAPE ADVENTURE: 1 DAY 2 NIGHTSCAPE YORGETAWAY ADVENTURE: 4 DAYS 5 NIGHTSCAPE YORKABSOLUTE ADVENTURE: 5 DAYS 6 NIGHTS OR 6 DAYS 7 NIGHTSCAPE YORKPOA Give us a call now. If you have a couple of days free and you want to have a crack at the tropical sports fish of the Cape York Peninsula. Depending on your starting point we can have you out the door of your home in the early morning and sitting on the beach at Albany Island that afternoon having a beer. All of your fishing equipment is included in the exchange adventure if you have some of your own gear that you wish to test against the North’s best sports fish you are more than welcome to bring along. 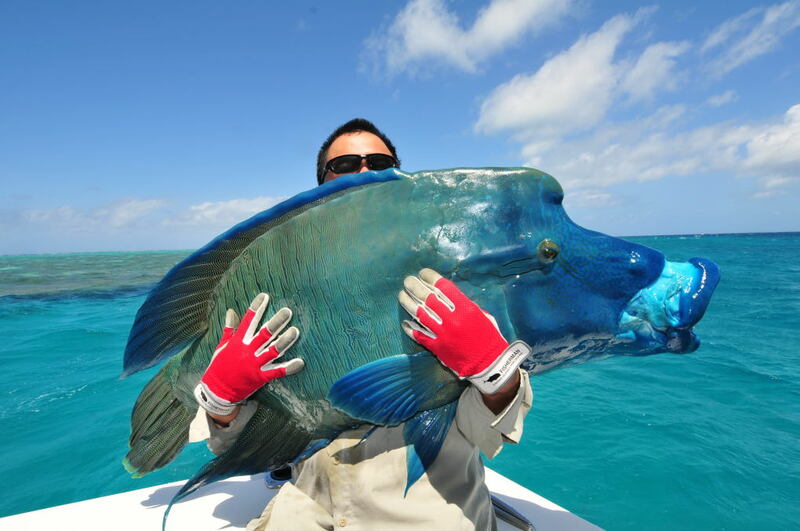 Over your week stay with us on the Absolute Adventure package we will spend as much time as possible refining your skills to perfectly target our tropical sports fish. Our guides are certainly not righteous in that they know that there is a lot of things that they can learn off you as well. With five or six days up your sleeve you have time to experiment and indeed a time to learn.